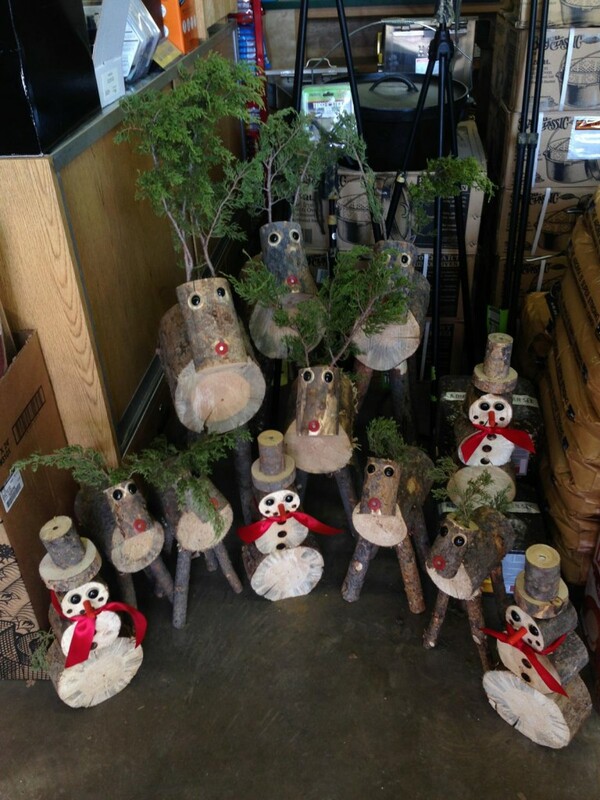 Just arrived at J&N Feed and Seed, Hand Crafted Reindeer and Snowmen. Stop by and see these delightful holiday decorations. Perfect for the front porch, flowerbeds or sitting next to the Christmas Tree. Pick yours up today, they won’t last long. This entry was posted on Tuesday, November 26th, 2013 at 10:50 pm	and is filed under News & Updates. You can follow any responses to this entry through the RSS 2.0 feed. Both comments and pings are currently closed.